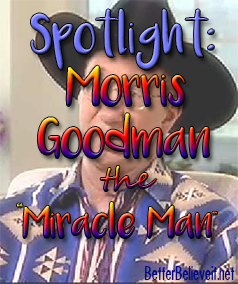 Spotlight: Morris Goodman the "Miracle Man" - Better Believe It! 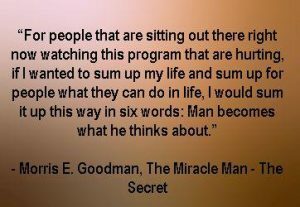 News Spotlight: Morris Goodman the "Miracle Man"
It’s all good and well to think, “Yeah beliefs are powerful. 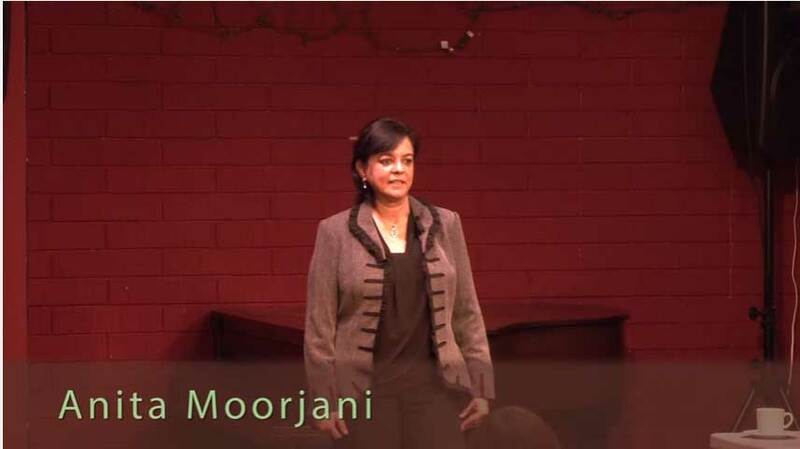 I should embrace empowering beliefs”, but it’s better to see and learn from people who know this and have put it in action. 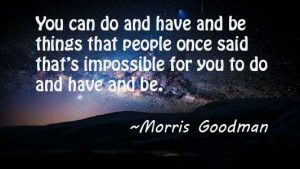 Morris Goodman is one such person. Morris was a successful insurance salesman going about his daily life and enjoying the fruits of his success. He bought himself an airplane, but one day while trying to land it, he crashed. He broke his back/neck and was completely paralyzed. He destroyed his diaphragm and could only breathe on a respirator. He lost the swallow reflex and couldn’t swallow or talk. The doctors told him that he would lay in bed for the rest of his days, unable to do anything except blink his eyes and think. But Morris didn’t care what they thought. He was determined to regain his ability to breathe, and he was determined to walk again. So he laid in the hospital bed and pictured himself breathing and walking out of the hospital on his own. First, he did get off the respirator and start breathing on his own again. Eight months later, he walked out of the hospital. The doctors have no explanation for it. Morris knows. He said, “A man becomes what he thinks about”.